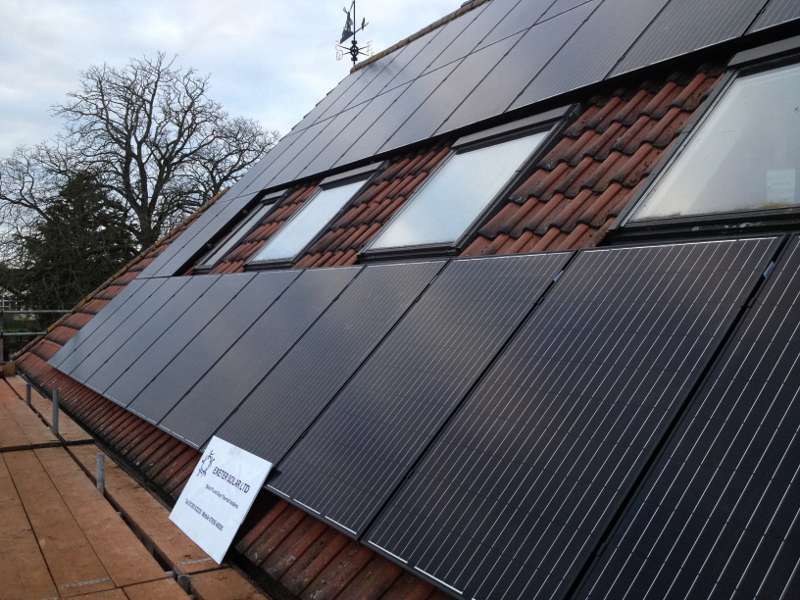 Our considerable past experience in the construction industry enables us to contribute more knowledge to a project than many other solar PV, solar thermal or renewables businesses. We have a wealth of construction project management, building design management, design and build and general contracting experience that can benefit our customers in both practical and financial terms. Whether your project is a new build, a refurbishment or a minor alteration then we can assist you with the renewables elements, be it at the design or construction phase, and assist you in integrating the required components and controls into your construction project. Within our team we have considerable experience of managing and working on projects ranging from new build energy efficient individual dwellings to multi-million pound process buildings incorporating complex mechanical and electrical plant and equipment. We also understand the requirements of working as part of a construction team and have participated with teams incorporating clients’ representatives, architects, structural engineers, quantity surveyors, M&E consultants and other team members. 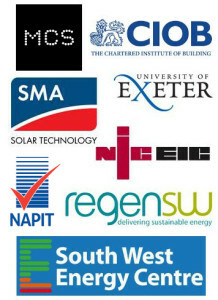 Historically our team members have worked with types of clients and businesses, including Halcrow, Southern Water, Amec Capital projects, Thames Water, Cleanaway, Lloyds Bank, Plessey Radar, South West Water, James Scott Mechanical, Plymouth City Council, Countryside Properties PLC, Centrica, Laing and Balfour Beatty. For our clients and customers with larger energy demands we can set up 24 hour computer controlled energy monitoring systems, on any number of electrical circuits, that will measure and record the energy usage over time, before any other works are undertaken. Our talented team of specialists enables us to make a holistic, ‘in depth’ assessment of a building’s energy needs including real time energy consumption, energy monitoring and energy management, devised to both save the customer money and conserve the earth’s rapidly diminishing fossil fuel resources. This, together with consideration of the power factor situation, enables us to identify where and how much power is being used, and subsequently put into place appropriate measures to make cost effective energy savings and devise any suitable renewable energy systems. We work with our partner companies Encore Electrical and Sustainable Electrical Systems as part of this energy assessment process and incorporation of the energy conservation meaures. Our teams of installers and managers are technically trained and fully health and safety trained to work in many and varied environments. We also have CITB project and site management training qualifications and experience, working at heights training, asbestos surveying and awareness qualifications and training, in addition to the usual requirements for working on UK construction projects. The solar and renewable energy industry is continually moving forwards with technical advances, changing regulations and the various funding or subsidies arrangements. It is a matter of policy, professional pride and dedication to our business that we endeavour to keep up with these developments and we therefore co-ordinate closely with our working partners both nationally and locally to ensure we are well connected and informed in this respect. We are happy to be associated with the following organisations, with whom we have on-going relationships, for our information, advice, training and technical development. We firmly believe in working with the best specialist product suppliers to provide our customers with reliable and warranted equipment and solutions to their renewable energy needs. In addition we use the technical expertise of these established businesses to both support our business and ensure we are using their products correctly and to effect the best performance. Please see our Products page for further information.